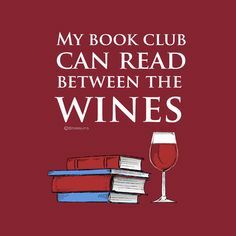 I know that many of you, if not all, are either in a book club or are looking to start/join one! Welcome to my guide to creating an "real life" book club! 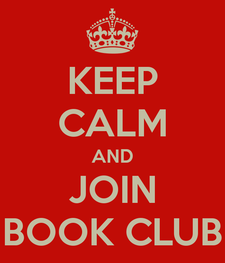 Even though online book clubs are hot right now, I still enjoy the traditional book club! Not only is it fun to talk about books with other readers, book club is also the perfect medium to meet and make new friends. I hope that my little guide will help you start your own book club or provide you with a few ideas that you can utilize for your own book club! 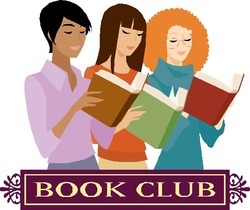 ​"How to Start a Book Club!" What kind of book club do I want? Women only? Co-ed? Couples? Moms? Etc. You should know that going in. That will help you figure out where to start looking for members. What type of books will you read? Are you a genre driven club? Mystery? Romance? Or are you open to reading any and everything? Non-fiction and fiction? All genres? You'll want to know that going in as well. Even though you want to be open to new books, you don't want to be constantly reading a bunch of books you don't like! You'll need to think up a name before starting. It's good to be able to list your book club name on any flyers that you put out to draw members. The name is also needed for any website or group that you create online. Hell yes!!! Every club needs structure, even adult clubs. Trust me on this. If you don't have rules and your group will be all "Willie Nellie": Figure out what rules you want and enforce them. This will assist with drawing like minded people in your club and it will go a long ways toward the longevity of your club. For example I have only 3 rules for my group. 1. We read fiction only. Any genre is welcome, but it must be fiction. 2. Three "no shows" and you're out. 3. No kids at the meetings. Personally I'm a stickler for expecting adults to actual keep to their word and be respectful of others time. If you RSVP "yes", then be there! If plans change, a quick call, email or text will do! Super easy! How do I gather members? Meetup.com - Meetup is an awesome website to find people in your area. The only down side is that it's a pay site, which means to create a group you have to invest a little bit of money. But on the flip side, you can ask dues of your members to help pay for the group. I used this initially to gather members. After a year, we switched to a private group on Goodreads.com (which is free). By then we all knew each other and there was no need to keep adding new members. An no need to keep paying dues! The book club that I joined also used Meetup to re-grow their membership. They lost members over time and wanted to refresh their membership by adding new members. They were on Meetup for about 6 months to accomplish this. Your local library - Utilize your local library to find members. Maybe they have a bulletin board that you can put a flyer on. Who do you know? - Friends, family, neighbors, school friends, etc. Chat up all the people you interact with. Maybe you never thought to ask them if they enjoy reading. It can't hurt to ask! Sometimes you can't tell if someone is a reader right away. You never know, you may find your book twin! Friend of friends - Ask current members or even as you gather members, to ask their book loving friends if they are interested! Work friends - Don't have the time or energy to search out new members? Find out if a few of your work friends like to read! I heard of a book club that holds their meetings during the lunch hour at work! Great idea right? Try that out, or even have your meeting right after work. Hold your book club meeting at a restaurant or coffee shop nearby your office if you can't hold the meeting on site. That's totally up to you as the club founder. But personally, I feel like 10 is a nice round number. That way if some can't make it, you still have plenty of people for a good balanced conversation. Have too many people and it's hard to have one cohesive conversation, instead you'll end up with several mini covos going on at once. You can start your group with as little as 2-3 members! Remember you membership will keep growing after you've begun. Where do we hold our meeting? Decide if you want your group to take turns hosting at each others homes or maybe you'd like to try out different restaurants around your city. Either is fun. I find that restaurant meetings are less stressful because nobody has to prepare for guests or cook anything! The ladies can get away from their kids, husbands, boyfriends, etc for a few hours, which is a win/win! Plus it's extra fun if everyone loves trying out new restaurants. But on the down side, restaurants can be a bit loud, so choose carefully. You do want to be able to hear each other after all! Or even do a combination of home and restaurant meetings and alternate. Again this is personal preference and you should decide then before starting your group so that the members know what the expectation is. Some groups are light readers, and those groups usually meet about every 6-8 weeks. Some groups, such as mines, have readers that are willing to read a bit more and meet once a month. Maybe you meet on Saturday? Or Sunday? Or would a varying schedule work better? I find that once you find a day that works for mostly everyone, and keep it on the same day, it's easier for the members to remember and know when they have book club. For example you may want to do every 3rd Saturday of the month at 3pm, or every other month on the 3rd Saturday at 3pm. Whatever works, but I do recommend maintaining a consistent day and time. If you're meeting strangers for the first time, do so at a public place. A library, a book store with sitting area, coffee shop (Starbucks), bakery (Panera Bread), even a park with benches. Icebreaker - This is a great idea for both meeting new people even with people you know. Because even if you may be the common link between everyone, most likely they don't know each other. So this will relax everyone and promote a fun first conversation! Here are a few websites with games and icebreakers! How do you choose the books to read? Some clubs select a host for each meeting and the host chooses the book. Some clubs vote every month on the next book. Some clubs vote for many books at once. I'm partial to voting. That way you read what the majority wants and nobody gets "blamed" for bad book choices! In my group everyone makes a few suggestions. Then I list them all on surveymoney.com. We all vote on what we want to read. I take the 6 books with the most votes make a 6 month reading list. This works for use because then everyone knows what books are coming up and what they need to buy or borrow. Open easy going discussion or discussion questions? This is a personal choice. In my opinion, I think that while referring to questions does indeed keep you on task, sometimes it's a bit too structured and as a result isn't as fun. The book club that I'm a member of provides a print out of discussion questions and we all take turns reading the questions and answering. Personally, I like a combination of both. My book club has an open discussion and if we run out of things to talk about, I refer to the discussion questions to move the conversation along. Here are a few websites to find discussion questions. So you have your group set up. You have your members. You have your first meeting scheduled. What's left? Get organized!!! Keep track of what books you've read as a group. Schedule your book club meetings as event so that you know whose coming. Use online message boards. The whole nine! This is the technology age after all! Goodreads.com - This is probably the most popular member site for book lovers. I use Goodreads for my group. You can make the group private so that others outside of the group can't see your events. I like this because you can save your group books and schedule your meetings. We also use the discussion board to communicate between meetings. Plus it's an additional bonus that you get to see what others in your group are reading on their own, which is always fun. Bookmovement.com - I like this site as well. It's not as well known as Goodreads, but it's good! I initially set my group up here, but after playing around with it I found that I liked Goodreads a tad better. You can create your own group, add events. Keep track of books read and you can enter giveaways for your group! Yes, you can win enough books for a small book club! I do still visit Book Movement and try to win books for my clubs! Facebook - This is a decent option, not my favorite, but you know some people are addicted to Facebook! You can create a private group. Post pictures, create events, etc. The only issue is that some people still don't use Facebook so some may miss out on updates. 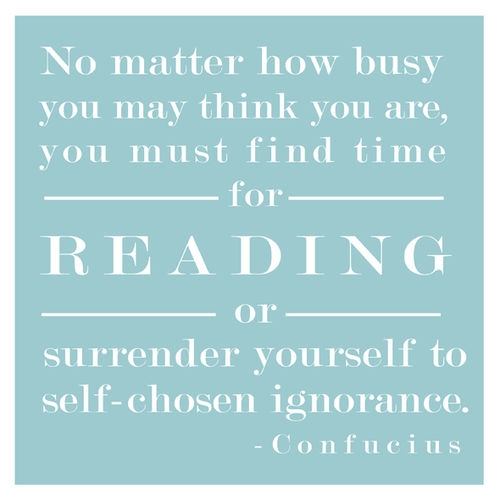 There's no such thing as "I don't have time to read." All that's left is to have fun! Have fun meeting new people and reading books outside of your comfort zone! Have fun making new friends and finding new authors to love. Don't sweat the small stuff, because no group is perfect. Just enjoy! If you have any specific questions, please feel free to ask!